Drs. Wood and Thurmond, your esteemed optometrists from Guilford Eye Center, the top local eye care center in the area, explain the whole process involved in eye exams for patients 18 years or older. It is the initial component of the eye exam. Here, your doctor will obtain specific information regarding your eye and vision status, and other related medical issues. These include visual and ocular history, nature of the problem you might have, family history and usage of medication. This next part of the exam seeks to measure the sharpness of your vision. Conducted with or without your latest eyeglasses or contact lenses prescription, it determines how well you see from all viewing distances. It is a series of tests conducted to help your eye doctor define your visual function, ocular health and systemic health status. Assessments may include observation of your eyes, face, color vision and pupil size as well as cover tests, to name a few. This one supplements the visual acuity test. Here, the doctor determines the required lens correction for optimal visual acuity. Tests include corneal topography and keratometry. These functional aspects of vision are critical for clear, comfortable vision, especially when you perform tasks like reading. These tests may be added into your exam depending on the age, visual signs and symptoms, and preliminary test results of the patient. After the assessment and evaluation of all data from the exam, your eye doctor will put together a diagnosis. A treatment and management plan will be formulated based on it. 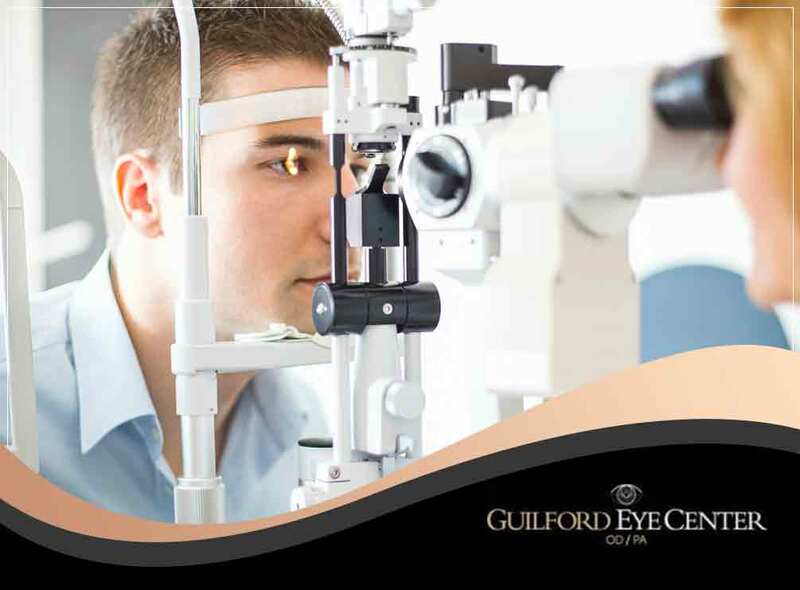 Guilford Eye Center has been the leading provider of complete eye care services in the area for many years. Apart from eye exams, we also offer specialized treatment methods, such as LipiFlow®. To learn more about our other services, give us a call at (336) 387-6777. You may also fill out our contact form to make an appointment. We serve High Point, NC, residents.